The wise one, the wicked one, the simple one, and the one who does not know how to ask. These are the “Four Sons” in the haggadah (הַגָּדָה = The Telling), the guide to the Passover/Pesach seder. 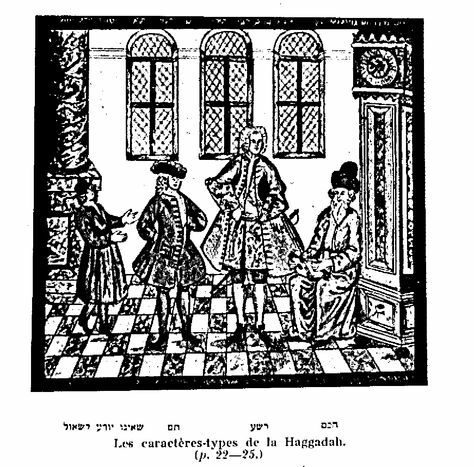 Even haggadot that leave out many traditional sections still include the Four Sons (or in modern versions, Four Children) and label them that way. If you go to a Pesach seder this Friday evening, you will encounter them. Yet these four types of children have only a tenuous connection with the story of the exodus from Egypt in the Torah. And telling that story is what Pesach is all about. pesach (פֶּסַח) = the animal sacrifice for Passover, the festival of Passover. Plural: pesachim (פְּסָחִים). The Torah prescribes what a father should say to a son on Pesach four times. Three of these instructions are preceded by a hypothetical question from a child. But the answers in the haggadah are different from the answers in the Torah. By about 200 CE the Jewish community in Babylon had labeled the sons in the four passages and changed the answers to be given by their fathers. A parental answer follows for each type of son. Is it possible to combine the four explanations for children in the Torah with the Four Sons found in the Mekhilta and all traditional haggadot? Here is my attempt. Later haggadot say the parent should tell the child all the rules of Pesach, including the one that nothing must be eaten after the afikoman. Although in the Torah this child says “commanded you”, the Mekhilta rewrites his question as “commanded us” in order to make the boy look better. Answering the child’s question in the context of Deuteronomy 6:20-25 would be a bootless enterprise. If you responded with every rule in the Torah and how it is applied, both you and the child would fall asleep long before you could finish the task. 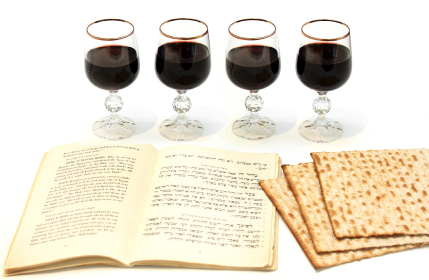 You could limit your list to the rules of the Pesach seder, including the afikoman; but why not bring up each rule when you actually apply it during the evening? 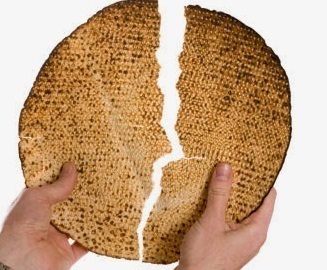 pasach (פָּסַח) = (verb) limped, skipped; (noun) an alternate spelling of pesach (פֶּסַח). What does the wicked son say? “What is this service to you?”—to you, and not to him. Because he disassociated himself from the congregation and denied the foundation, you, likewise, blunt his teeth and tell him: “Because of this [that] God did for me when I went out of Egypt.” For me and not for you. Had you been there, you would not have been redeemed. The father’s reply here sounds to me as if the questioner is not “the wicked son”, but “the son whose father hates him”. The father makes the “wicked son” look bad by correctly quoting “What is this service to you?” and leaping to the conclusion that “to you” means the boy is disassociating himself from his parents and from other Jews. This is a prejudiced assumption. Perhaps the child is merely expressing curiosity about a particular Pesach service and its meaning to an adult. 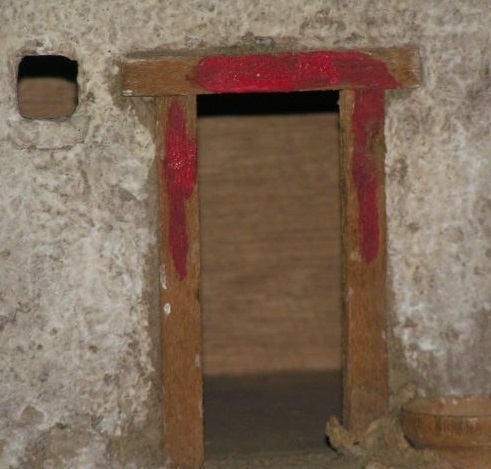 The service in question is what the Israelites did in Egypt the night before they were freed: slaughtering a sheep or goat and daubing its blood on the lintel and doorposts of the front door. The third child’s question appears in Exodus after the instructions to sacrifice every firstborn male animal in the herd and flock to God, in commemoration of the tenth and final plague in Egypt. A firstborn donkey is redeemed with a sheep sacrificed in its place. The firstborn son of each human mother is also dedicated to God. Exodus tells the father what to say to his son about the festival of matzah without including any prompting question. Like the answers for the “wicked” child and the “simple” child, the invented “son who does not know how to ask” gets an answer that ignores the point of the corresponding passage in the Torah—in this case instructions for the festival of matzah. I recommend telling the speechless child: “For seven days we eat matzah, and avoid any baked goods with leavening. Why do we do this? For the sake of what God did for me in taking me out from Egypt. (Exodus 13:6-8) That’s what it says in the Torah, but what do you think it means?” In this way you may encourage your child to ask questions and generate possible answers. Pesach is when we must tell the story of the exodus from Egypt in a way that engages our children and the “children” inside us. In order to do that, we can combine the traditions with our own creativity. The Babylonian Talmud tractate Pesachim gives examples of spur-of-the moment alternatives to traditional sections.5 But if you would like to plan some alternatives in advance, you are welcome to use this blog post as a starting point. The Mekhilta di Rabbi Yishmael collection of commentary on the books of Exodus through Deuteronomy written during the first through fourth centuries CE and by Rabbi Yishmael ben Elisha, his students, and subsequent commentators and redactors. The rules and customs of Passover in the Mekhilta were probably written in the early third century CE, about the same time as Rabbi Yehudah Ha Nasi collected the mishnah of the Talmud. The fours sons in the Mekhilta are alluded to in the Jerusalem Talmud, but not in the Babylonian Talmud. This quote and all subsequent quotes from the Mekhilta use the translation in sefaria.org/Mekhilta_d’Rabbi_Yishmael. They are all from 13:14. The afikomen is the final course or dessert of the Passover meal, consisting of half a piece of matzah separated and hidden early in the ritual. 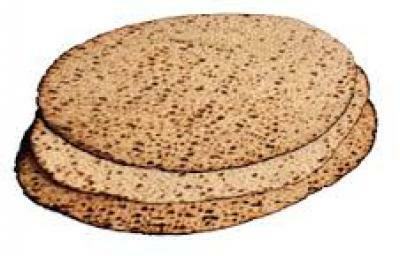 The only reason given in Exodus for observing the festival of matzah during Pesach is the sentence: “And they baked the dough that they had taken out of Egypt, flat rounds of matzah, because it had not leavened, because they were driven out from Egypt and they could not delay. They did not even make provisions for themselves.” (Exodus 12:39) But the Israelites have two week’s notice, and their only leaven is sourdough starter, which never runs out as long as a little is saved from each batch of bread. When a priest diagnoses the skin disease tzara-at in a human being, that person is isolated from family, community, and God’s sanctuary, and must live outside the camp or town. (See last week’s post, Tazria & Psalms 38 & 88: Isolation of the Sick.) Tzara-at is also the name of a green or red mark that appears and grows in fabric or leather, requiring the article to be burned. This week’s Torah portion, Metzora (“someone with tzara-at”) applies the name tzara-at to an infection (probably mold) in the walls of a house. But how do you remove a house from society? When the owner of the house sees something that looks like a mark of tzara-at, he must inform a priest. bayit (בַּיִת) = house, building; household (consisting of family and servants living together). Seven days is also how long a priest must quarantine a human tentatively diagnosed with tzara-at before a re-examination. Members of the household must also scrape off and throw away the clay or whitewash1 coating the stones inside the house. Then they can rebuild that section of the wall with new stones and a new coating. In an earlier post, Metzora: A Diseased Family, I suggested that since the word bayit means a household as well as a house, tzara-at of a house might represent a serious malfunction in the household that lives there. Then if replacing an obviously diseased part of the family’s life does not solve the problem, the household should be disbanded. Bayit can also mean the household of a king. The prophetic poetry of Habakkuk may include a reference to the tzara-at of an imperial household. Rashi2 wrote that “the violence of the land” means the violence done to the land of Israel, and that the city in the next line is Jerusalem. Habakkuk did live in Judah, so this interpretation fits the prophet’s frame of reference. The king in Babylon (probably Nabopolassar, regnant 658-605 BCE) is not bringing evil to the stones of the palace building. 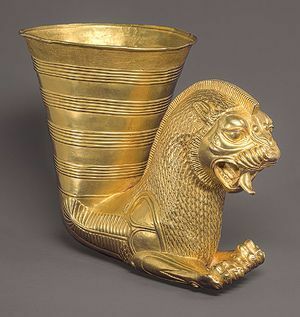 He is corrupting his household, including his son, general, and successor, Nebuchadnezzar II (regnant 605-562 BCE). Rashi wrote that the shameful thing the ruler of Babylon plotted was to “strip and peel” many peoples, as in the treatment of walls in Leviticus 14:43. Images in poetry often refer to several things at once. Here the parts of a house cry out when the house is being torn apart, like the house in this week’s Torah portion in which the disease of tzara-at reappeared. But the countries that the Babylonians have been tearing apart are also crying out. And if the injustice perpetrated by the king of Babylon’s household is the evil brought home to roost in Habakkuk 2:9, as well as the shame and guilt in verse 2:10, then the stone and the rafter respond as if they are the soul and conscience of the royal family crying out in alarm. In Habakkuk, God promises that eventually the rulers from Babylon will be overturned. 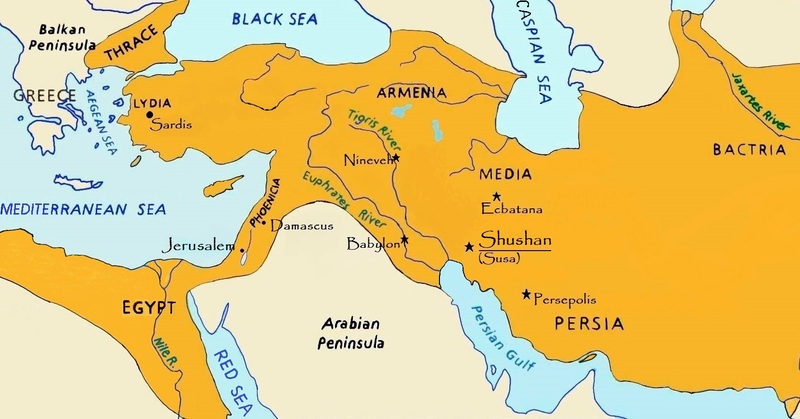 The royal line of kings from Nabolpolasser to Nebuchadnezzar and four kings after him ended in 539 BCE, when Cyrus I expanded his Persian Empire by conquering Babylon. Elsewhere the Hebrew Bible claims that God sent Cyrus to rescue the Jews from Babylonian rule.5 Cyrus ruled his empire with a lighter hand, giving a measure of autonomy to local regions and letting deportees such as the Jews in Babylon return home and rebuild their temples. Ancient Israelites and classic Torah commentators believed that some diseases are a divine punishment for bad behavior. Today some people still see physical disease as an expression of a psychological issue, though as medical science advances fewer and fewer diseases are classified as psychosomatic. Neither white patches of skin nor mold in the walls is caused by negative thoughts. But poetry can use the imagery of unnatural patches of skin, and creeping mold in walls, to convey truths about the psyche. Habakkuk transmits God’s message that rulers bent on conquest regardless of the price in terms of the destruction of human lives or the devastation of the land may build their “nest in the heights”, but the evil they do will infect their own household—their own ruling family and its confederates—with a disease of the soul. Habakkuk adds that eventually God will bring down the Babylonian empire. I would add that those who rule without regard for justice, the suffering of human beings, or the plight of the earth cannot experience real happiness or meaning in life. As we rant against such a ruler and his collaborators our own time, may we also feel pity for those with diseased souls. The bible uses the word eifer (אֵפֶר) for the material coating the stones. Usually eifer means dust, ashes, or fine dirt. 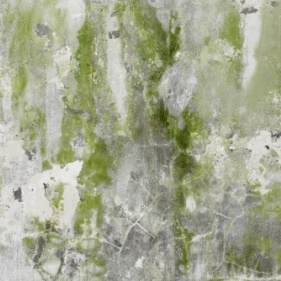 As a wall coating, it might be clay refined from dirt, or whitewash made with lime from ashes of animal bones. Rashi is the acronym for 11th-century rabbi ShlomohYitzchaki. The biblical Hebrew interjection Hoy (הוֹי) means the same as the Yiddish interjection Oy: a combination of “Oh!”, “Woe!”, “Oh no!”, and a deep sigh. “Cutting off a slice” is a biblical idiom for enriching oneself by cheating. Jeremiah 29:10, Ezra 1:1, Isaiah 45:1-3. Instructions for diagnosing the biblical skin disease of tzara-at (צָרַעַת) fill most of this week’s Torah portion, Tazria (“She makes seed”). The end of the portion finally says what happens to people who have tzara-at. tamei (טָמֵא) = contaminated, ritually impure, unfit for worshiping God. Torn clothes, wild hair, and covered lips are all signs of mourning in the Hebrew Bible.1 People afflicted with tzara-at are not dead. But like those who mourn a family member’s death, they mourn their separation from those they love. They can no longer live together, or even come within touching distance. Calling out “Tamei” keeps people away, since the condition of being tamei (though not the skin disease itself) is contagious. Being tamei also prevents people with tzara-at from approaching God in the sanctuary courtyard. The Psalms never mention tzara-at, but two psalms consider the anguish of someone with a serious disease—not because of pain, but because of isolation. There is no peace in my bones thanks to my error. Like a heavy burden, too heavy for me. 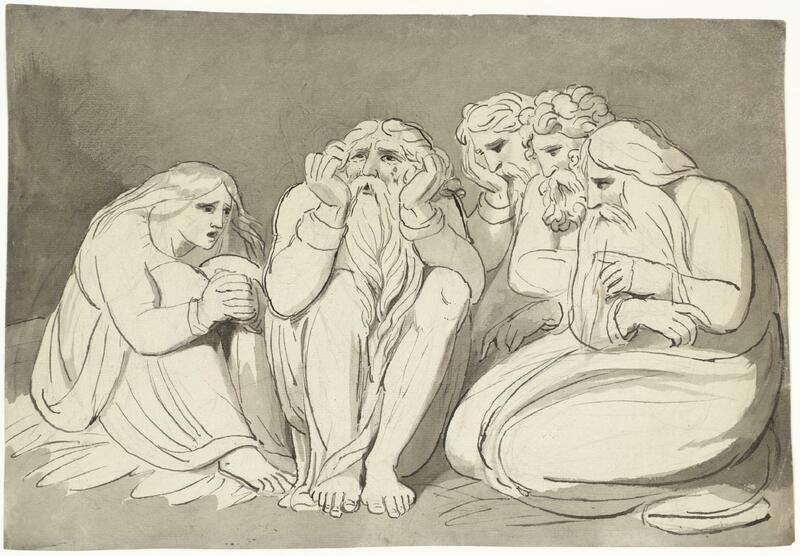 In the book of Job, the afflicted person’s “comforters” cluster around to tell him his sickness is his own fault, since God only sends disease to those who have sinned. In Psalm 38, the speaker believes the sickness is a well-deserved punishment, but the speaker’s friends stay away. Meanwhile, the speaker’s enemies plot to take advantage of his illness, and the speaker is unable to hear or rebuke them. The only one left to listen to an appeal is God. Because for you, God, I have hoped. You will answer me, my master, my God. Do not give up on me, God! My God, do not tirechak from me! The speaker is isolated from friends and family, who therefore cannot provide comfort; isolated from enemies, who scheme outside the speaker’s hearing range; and isolated from God, who does not seem to be present. Psalm 88 opens with a sick person’s plea to God. Stretch out your ears to my cry! And my life has reached the brink of death. I am counted among those who go into the pit. This speaker blames God—who made him sick—for isolation from friends. Then the sick person offers God a motivation for healing, pointing out that only the living can praise God. Do you do wonders for the dead? Yet the speaker remains isolated from God as well. The psalm ends with the pain of isolation. Some people today have visible diseases, irregularities, or deformities, like the people with tzara-at in the bible. Although we no longer have a law isolating them, it is human nature to stare—or to carefully avoid looking at them. Meeting their eyes, smiling, and starting a normal conversation is harder, especially when the defect is on the face. Doing so anyway is the only ethical approach; yet because humans are weak and easily spooked, these people still suffer isolation. Others today have invisible diseases; I am one. Reading Psalms 38 and 88 brings tears to my eyes. I can pass for healthy, and engage in society and communal worship like a healthy person (except that I cannot make a living because I’d need too many sick days, and I have to pace my activities to prevent exhaustion). I am grateful that I am not isolated from human company, and I have dear family and friends. I do not believe God afflicts us with physical problems as a punishment for disobedience or wrongdoing. Sometimes, in our misery, we expand our own set of physical problems with unwise behaviors. On the other hand, we may benefit from new scientific knowledge that repairs some of the things that go wrong in our bodies. Nevertheless, I know that often bad things happen to good people, and good things happen to bad people. There is no divine justice for individuals. Then why do we beg God to heal us? Why do we fix our hope on God? Mourners customarily tear their clothes in Leviticus 10:6-7 and 21:10-11, leave their hair loose and disheveled in in Leviticus 10:6-7 and 21:10-11 and Ezekiel 24:17, and cover their lips in Ezekiel 24:17. The bible only records healing from tzara-at when there is divine intervention. In Numbers 12:10-15 God afflicts Miriam with tzara-at and then heals her. In 2 Kings 5:1-11, the prophet and miracle-worker Elisha heals General Na-aman of tzara-at. 2 Kings 7:3-16. 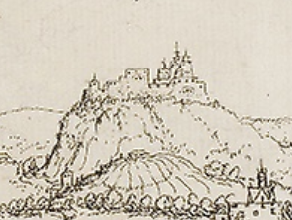 The four men with tzara-at must stay outside the city walls even when the enemy is approaching to attack the city. 2 Kings 15:5. King Azaryah lives in an isolated house while his son Yotam does the king’s business in the palace and on the battlefield. Walter Brueggemann points out in The Message of the Psalms, Augburg Publishing, Minneapolis, 1984, p. 79: “This is the voice of a dying one crying out to the only source of life. ‘The Pit’ [see Psalm 88:5] is not final judgment or a fiery place of punishment. It is only beyond the range of communion. For this speaker, communion with God is clearly everything.” I would amend this statement to say communion, with both human beings and God, is everything. 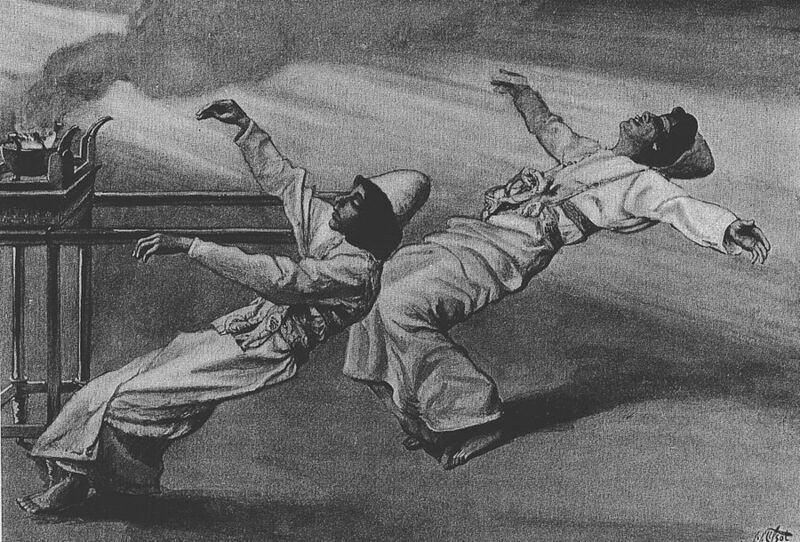 Why do Aaron’s two older sons bring unauthorized incense into the new tent-sanctuary? Why did Moses tell Aaron, who has just watched his sons die, that God said, “Through those close to me, I will be proven holy”? Why is Aaron is silent and still? I have offered some speculations in previous blog posts. (See Shemini: Fire Meets Fire and Shemini: Mourning in Silence.) This year I wondered why Aaron’s silence continues beyond the initial shock of the catastrophe. Does guilt tie his tongue? Is he too exhausted or frightened to make a move, except to obey an order? Or is it possible that he has a moment of enlightenment? After the first shock, Aaron might be unable to move or make a noise because he is overwhelmed by guilt. 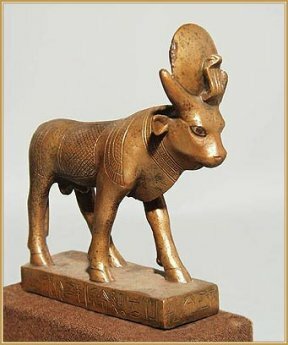 Maybe he set a bad example when he made an alien idol, the golden calf. Maybe he should have stopped Nadav and Avihu the instant when they filled their fire-pans. Maybe God is punishing him for doing the wrong thing. After the first shock, Aaron might realize that no one is safe, not even Moses’ family. He did not survive the episode of the golden calf because he was Moses’ brother, but merely because God had another plan. God chose all four of his sons to serve as priests, then killed two of them on their first day of service. This is life, and anything can happen. In a moment of non-attachment, Aaron waits quietly for whatever happens next. All three of these attitudes can be expressed with silence, as we see in Jeremiah, Ezekiel, and Psalm 131. Let us gather and enter fortified towns, venidmah there. Jeremiah repeatedly declares that the Babylonian conquest of Jerusalem will succeed because God is punishing the people for their sins. They are guilty, so they must be silent. Moses tells Aaron and his surviving sons that priests may not bare their heads or tear their clothing even if a close family member dies. All the other Israelites can wail and mourn, but not the holy priests. Ezekiel’s wife dies that night, and he obeys God’s orders. When the Jews in his community in Babylon ask him why he is not mourning, Ezekiel replies that this is how they should act when the temple in Jerusalem falls and the sons and daughters they left behind die by the sword. Like priests, they must not exhibit mourning even when God lets their beloved city and their children perish. However, they must also remember their guilt. After Nadav and Avihu die, Aaron is silent and motionless, a powerless man with nothing to do but wait. A song of ascents for David. And my eyes are not arrogant. Or wonders too difficult for me. I have found equilibrium vedomamti my soul. Like a weaned child is my soul. The speaker is humble, not striving to achieve. He or she is weaned from attachment and dependence, and has found equilibrium6 and an inner state of peace and quiet. Such a person can wait patiently for God to manifest. What would it take for your soul to become quiet and peaceful after a disaster? See my post Shemini: Prayer and Glory. The translation of וּנְמַקֺּתֶם בַּעֲוֹנֺתֵיכֶם as “and you shall rot in your crimes” comes from Robert Alter, The Hebrew Bible, Vol. 2: Prophets, W. Norton & Co., New York, 2019. Shiviti (שִׁוִּתִי) = I have leveled, I have made even, I have equated. Therefore my translation here is “I found equilibrium”. Both men are doomed to die outside the “promised land” of Canaan in Numbers 20:12, although Moses is the one who shouts the words God finds offensive. Aaron quietly dies on Mt. Hor in Numbers 20:23-28. Moses complains about God’s decree in Deuteronomy 3:23-6. 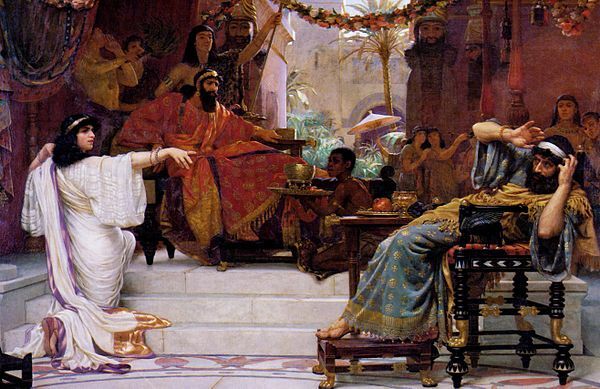 Purim, a Jewish holiday on the 14th of Adar (March 20-21 this year), revolves around the book of Esther, an imaginative farce set in Shushan, one of the capitals of the Achaemenid Empire of Persia (553-333 BCE). The real kings of this empire were smarter than the average dictator. The founder, Cyrus I, encouraged the fealty of the many ethnic groups in his lands by granting them local autonomy and helping them rebuild their old temples. Darius I recruited administrators and soldiers from many ethnic groups. 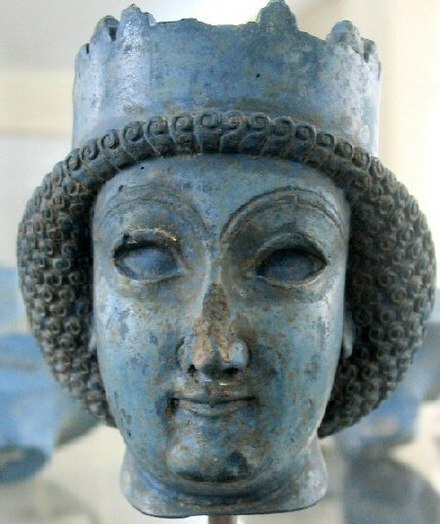 His son Xerxes I (reign 486-465 BCE), called Achashveirosh in the book of Esther, continued these astute policies of cultural and religious tolerance, making it easier to rule the world’s biggest empire to date. The real King Achashveirosh/Xerxes also successfully crushed revolts in Egypt and Babylon. He built gigantic palaces in two of his five capital cities, Persepolis and Susa/Shushan. He kept a large harem but had only one queen, a Persian noblewoman named Amestris. 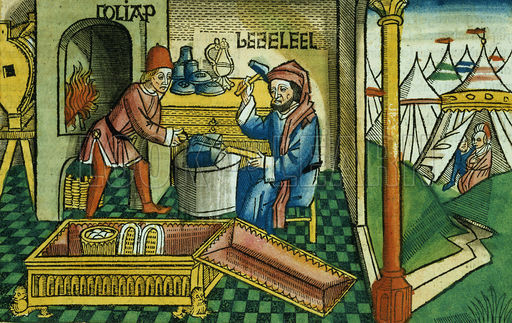 Xerxes seems to have been a competent political leader with a taste for the standard royal luxuries. But in the book of Esther, King Achashveirosh is, above all, stupid. His stupid decisions drive a plot of near-catastrophes and amazing reversals. On the evening of Purim we read and perform the book of Esther, enjoying every comic moment. Late the next afternoon there is a traditional seudah shlishit, a “third meal” which is supposed to be second in importance only to the seder meal on Passover. 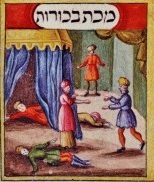 Unlike the Passover seder, the Purim seudah has no ritual text. But maybe this year it could be a time to discuss some of the stupid rulings the fictionalized king makes—and how easy it is to make similar errors today. The book of Esther opens with King Achashveirosh spending lavishly on a 180-day drinking feast for his administrators and noblemen, followed by a seven-day drinking feast for the entire male population of Shushan. The word dat is used only in biblical passages written after the Persian Empire took over the Neo-Babylonian Empire and its formerly Israelite territory circa 539 BCE. Dat appears 20 times in the book of Esther. During the course of the story, King Achashveirosh (who likes to drink) issues six new datim on impulse, without constraints such as getting information or thinking things over. Vashti refuses.1 Achashveirosh is furious. Consulting legal advisors on what to do about this perceived insult from the queen seems like a wise and sensible move—as long as one has competent advisors. King Achashveirosh has seven, but only one speaks: Memukhan, who declares that in order to prevent noblewomen throughout the empire from getting uppity, Vashti must be severely punished. Memukhan proposes a new dat declaring that Vashti is dethroned, divorced, deprived of her land, and banned from the king’s presence. Achashveirosh agrees with no further thought. Today, when do we (or our rulers) act on impulse, following the lead of the first person to speak, without pausing to solicit other opinions? Do we fail to express our own viewpoints when we are given the opportunity to speak? After a while Achashveirosh misses Vashti. The real Achaemenid kings chose all their queens from seven noble Persian families, but in the book of Esther the king’s servants suggest holding a beauty contest to pick the next queen. Each of the many finalists would spend a night with the king. Achashveirosh jumps on this idea without consulting his legal advisors, and issues a new dat declaring the contest and its procedures. Eventually he chooses Esther, the adopted daughter of her uncle Mordecai, a Jew who “sits in the gate” of Shushan as a judge. Today, when do we pick our romantic partners, business associates, or even presidents based on their looks and charm, without considering any possible consequences? For no apparent reason, the king picks a self-centered man named Haman as his new viceroy, and orders everyone in the king’s gate to kneel and bow down with their faces touching the ground when Haman passes through. In the Torah this is the position of humility before God—which might explain why Mordecai refuses to do it. When the king’s other servants tell Haman that Mordecai is ignoring the dat about bowing because he is a Jew, Haman decides to wipe out all the Jews in the Persian Empire. Achashveirosh does not ask which group Haman is talking about. He does not ask which of the king’s datim its members are violating, or why. And as usual, he does not talk to anyone else to get another side of the story. For someone unaccustomed to thinking, it is enough that these people are different. Unlike the real kings of the Persian Empire, the Achashveirosh character is easily frightened by diversity. When do we react with fear (or fear disguised as resentment) because certain people look different, or speak a different first language, or adhere to a different religion? Given the king’s usual blank state of mind, Haman’s simple scare tactic might be enough. But the viceroy adds a bribe, promising to pay 10,000 silver disks into the royal treasury if the king commands the extermination of this unnamed people. Without asking a single question, without thinking about justice or remembering his family’s tradition of religious tolerance, King Achashveirosh hands over his signet ring to Haman. When do we abandon our identities, giving the equivalent of our signet rings to others, for financial reasons? For other reasons that would not hold up to scrutiny? Do we ever wonder if we are violating our own principles? At her second private drinking feast for the king and his viceroy, Esther asks King Achashveirosh for her life and the lives of her people. Still oblivious, the king asks her who ordered such a thing. Achashveirosh believes her at once and, as usual, asks no follow-up questions. He has Haman impaled on his own stake. It is sheer good fortune that Esther is correct and Haman is indeed the malefactor. This dat would be ridiculous in a real government. But it does express the truth that some actions have irrevocable consequences. We insult someone, and the person never forgets it. We make a mistake or pass a law that results in someone’s death, and nothing can bring the person back to life. King Achashveirosh gives Mordecai his signet ring and invites him and Esther to write any new dat they like to compensate for the dat about exterminating Jews on the 13th of Adar. A dat goes out giving Jews permission to kill anyone who tries to attack them on that day. Jews all over the empire attack and kill their enemies on the 13th of Adar. There is no due process, no trials to establish guilt or innocence, no follow-up on anyone the Jews accuse who manages to escape. Mob violence rules the day. The king’s fifth new dat is an arguably stupid way to prevent a one-day genocide. When do we, like Achashveirosh, make excuses for violence perpetrated by people who have suffered from discrimination and persecution? When do we, like Esther and Mordecai, use positions of power to improve the welfare of our own people without seeking justice for all people? 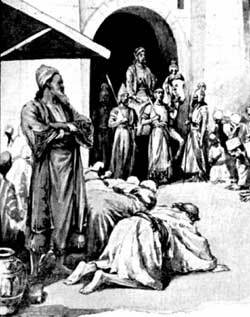 Achashveirosh tells Esther that the Jews of Shushan alone have killed 500 men in addition to Haman’s ten sons, and asks her if she has any other requests. The Jews of Shushan take this opportunity to kill another 300 men. Today, when do we agree to do something merely to please a person who dazzles us, without considering whether it is ethical? failing to consider our own ethical principles. Someday may we all learn to be smarter than King Achashveirosh. Midrash Rabbah Esther (commentary from the 6th to 11th centuries CE) said that Vashti’s refusal was justified because the king was ordering her to display herself wearing her crown and nothing else. Before Esther can speak to Achashveirosh, she must risk her life; there is already a dat that anyone who enters the king’s inner court without being summoned is put to death unless the king extends his golden scepter. Never mind if there is an imperial emergency; Achashveirosh does not want to be bothered by inconvenient news. When do we disable ourselves by going into denial? When do we make life more difficult by trusting someone who ignores facts to be in charge? The book of Leviticus/Vayikra gets right down to business. 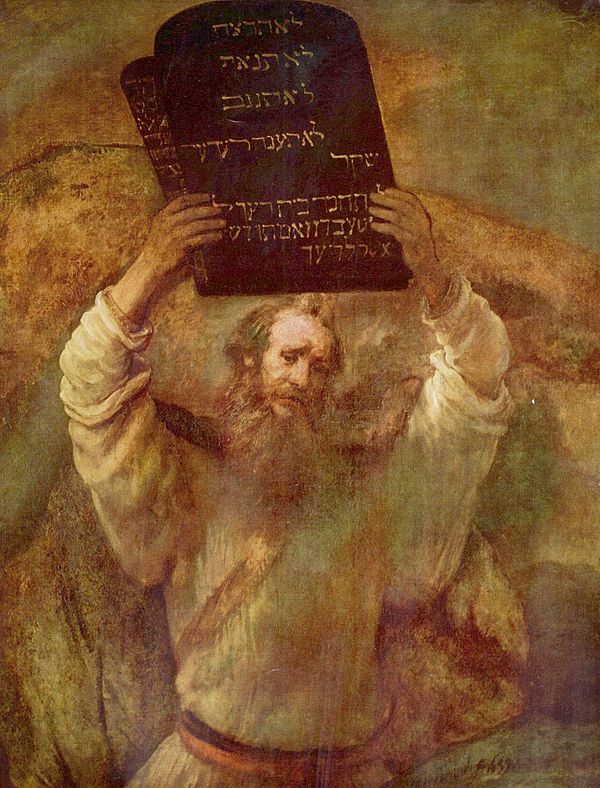 The first Torah portion opens with God calling to Moses, then telling him more instructions for the Israelites—this time about conducting the rituals at the altar. minchah (מִנחָה) = gift of allegiance or homage; a grain-offering. The text continues through this week’s Torah portion (Vayikra) and next week’s (Tzav) with instructions for a total of six kinds of offerings. (See my post Vayikra & Tzav: Fire Offerings Without Slaughter, Part 2.) The last four all involve slaughtering animals, burning parts of them so God can enjoy the smell of the smoke, and eating the remaining edible parts after they have been roasted on the altar. The primary method of serving God throughout the Hebrew Bible is turning animals into smoke, “… a fire-offering of a soothing smell for God” (Leviticus 3:5). In the first twelve books of the bible (Genesis through 2 Kings) this method goes unquestioned. “Why your many zivechim for me?” God says. “I am sated with olot of rams. I am averting my eyes from you. Here God does not totally reject animal sacrifices, but God does consider good deeds and justice a higher form of service. A song of praise for our God. Zevach and minchah you do not want. You dug open a pair of ears for me! Hey, I will bring a scroll of the book written for me. And your teaching is inside my guts. I delivered the news of right behavior to a large assembly. What does God want? Most, but not all, of the Hebrew Bible assumes God wants offerings on the altar. Today we assume God wants words of prayer and blessing, as well as deeds of kindness and justice. But why should we give God what we think God wants? Suppose you want to thank a person for saving your life. You might speak to them, send them a card, send them flowers or a bigger gift. Suppose you want to manipulate or appease a person who has power over you. You might speak to them, send them a card, send them flowers or a bigger gift. Today, do we pray and do good deeds to express gratitude? Or to appease God? Or to manipulate God into giving us what we want? For example, the odor of Utnapishtim’s burnt sacrifice gives the gods of Mesopotamia pleasure in Gilgamesh tablet 11, part 4. In the book of Numbers, Moabite women invited Israelites to worship Baal Pe-or with them through “zivechey their god” (Numbers 25:2). (Zivechey (זִבְחֵי) = slaughter offerings of.) In the book of Ezekiel, God complains that Israelites are flocking to foreign altars and burning sacrifices to give idols soothing smells (Ezekiel 6:13, 16:19, and 20:28). Offerings of wholeness or thanksgiving (shelamim, שְׁלָמִים) are described in the portion Vayikra in Leviticus 3:1-16 and in the portion Tzav in Leviticus 7:11-21. 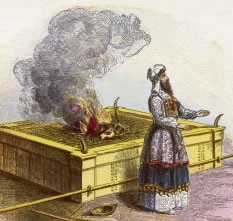 Offerings to appease God after violating one of God’s rules (chataat, חַטָּאת, and asham, אָשָׁם) are described in Vayikra in Leviticus 4:1-5:22. 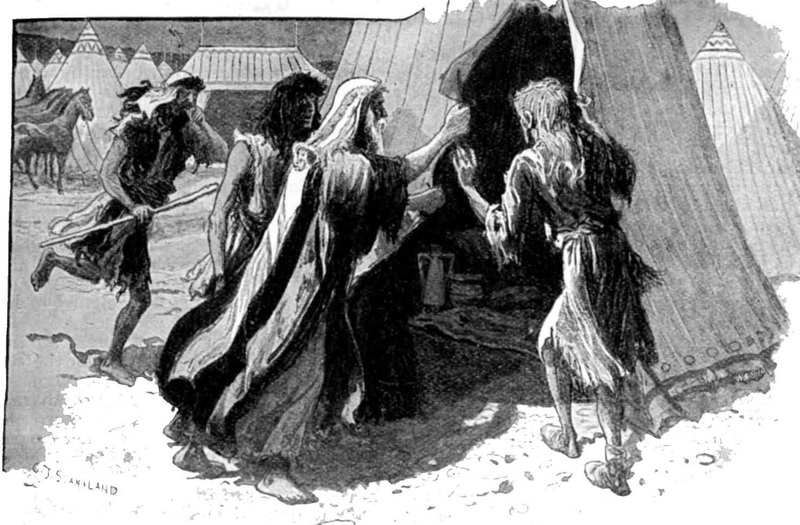 Moses assembles all the items the people have made into a new tent-sanctuary for God in this week’s Torah portion, Pekudei (“Inventories”), the last reading in the book of Exodus. Thus all the people have visible evidence that the kavod of God not only dwells in the portable sanctuary they collectively made, but also continues to lead and guide them through the wilderness. The first time God manifests as cloud and fire is when the Israelites set out from Egypt and head into the wilderness. And God went in front of them, by day in a pillar of cloud to lead them on the way, and by night in a pillar of fire to give them light for walking by day and by night. The pillar of cloud by day and the pillar of fire by night did not cease being in front of the people. (Exodus 13:21-22). The pillar of cloud and fire leads them all the way to Mt. Sinai. Then cloud, smoke, and fire appear on top of the mountain instead. God speaks from the mountaintop during the revelation of the “Ten Commandments”. Then Moses conducts a ritual for the covenant between God and the Israelites,5 takes the elders halfway up the mountain to see God’s feet,6 and finally climbs alone to the top, where he spends 40 days and 40 nights. While Moses is walking into the mysterious cloud of God’s glory, the people below think he is walking into the “consuming fire” of God’s glory. 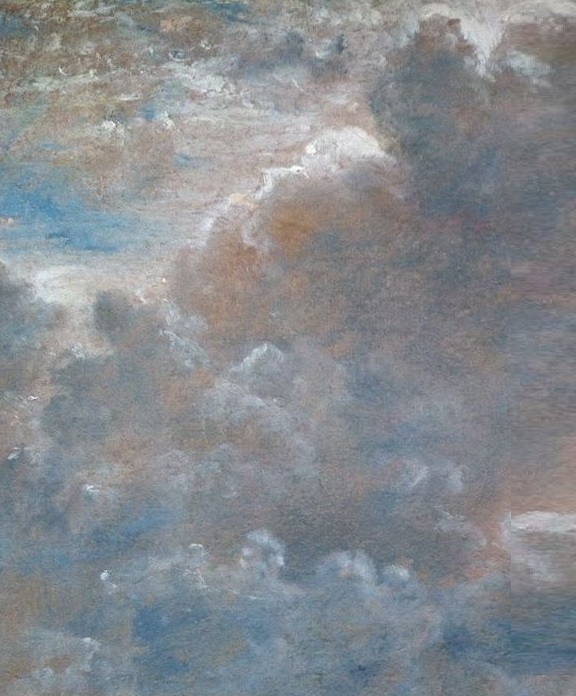 In this week’s Torah portion, the kavod of God appears as cloud and fire hovering above the tent-sanctuary—except when God signals that it is time to travel on. Thus the kavod of God is displayed as cloud and fire: first in a traveling pillar, then on top of Mt. Sinai, and finally above the Tent of Meeting. This echo of the end of Exodus confirms that God will dwell in the temple as God dwelled in the tent-sanctuary. Cloud, fire, lightning, hail, any violent storm, expressed the magnificence of Ancient Near East weather-gods long before any of the Hebrew Bible was written down. Terrifying storms were inexplicable except as the work of gods. But the particular images of cloud and fire attached to the kavod of the God of Israel may carry additional meanings. 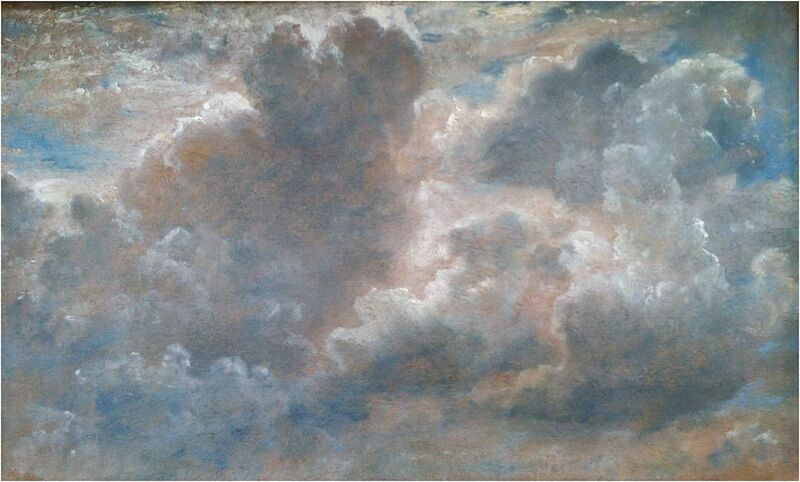 Cloud conceals the divine (as in Exodus 24:16 above). Fire from God is usually described as “devouring” (as in Exodus 24:17 above).9 The kavod of God manifests as both mystery and terrible power. The Israelites in Exodus need to see God’s kavod in order to believe God is still with them. Today most people take religion less literally. I often forget to wonder whether God is with me. Yet once in a while I see beauty that no human hand created, and I am thunderstruck by the mystery and power of the ineffable force I can only call divine. Jacob’s wealth in Genesis 31:1, Joseph’s political power in Genesis 45:13, the vestments of the new priests in Exodus 28:2 and 28:40, and the wealth promised Bilam in Numbers 24:11. The poetic prophesy in Genesis 49:6 uses the word kavod for Jacob’s honor or reputation. Exodus 16:7, 16:10, 24:11, 24:16, 29:43, 33:18, 33:22, 40:34. 40:35; Leviticus 9:6, 9:23; Numbers 14:10, 14:21, 14:22,16:19, 17:7, 20:6; Deuteronomy 5:21. Before God sends manna, the kavod of God appeared in a cloud (Exodus 9:6, 9:23). 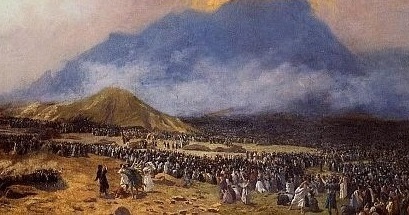 When the people protest the deaths following Korach’s rebellion, cloud covers the Tent of Meeting and the kavod of God appeared (Numbers 17:7). But when the altar is initiated and the kavod of God appears to all the people, Fire came forth and consumed the offering (Leviticus 9:6, 9:23). When Moses climbs to the top of Mt. Sinai to spend 40 days, he sees a cloud and knows the kavod of God is concealed inside it, but the people below see the kavod of God as a fire (Exodus 24:16-17). The kavod of God also appears as both cloud and fire in Exodus 40:34-35, the conclusion quoted above. That is my interpretation, but there are others. 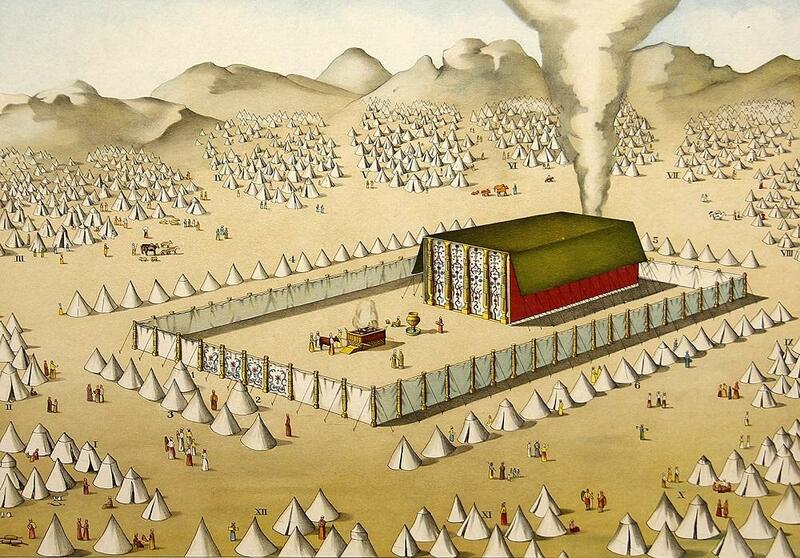 For instance, Rashbam (12th-century Rabbi Shmuel ben Meir) wrote that after filling the tent, the cloud diminished and rested on top of the ark, between the poles. Exodus 24:3-8. (See my post Mishpatim & Ki Tissa: A Covenant in Writing). Exodus 24:9-11. (See my post Mishpatim: After the Vision, Eat Something). Also see Leviticus 9:6, 9:24, and 10:1-2; and Deuteronomy 4:23. Then Moses tells the Israelites what God does want them to make: a portable tent-sanctuary, where God will speak from the empty space above the ark inside the inner chamber. In in this week’s Torah portion, Vayakheil (“And he assembled”), they gladly pitch in. nedavah (נְדָבָה) = spontaneous voluntary offering. For the rest of the book of Exodus (five chapters), nobody complains and nobody worries. The people are content, fulfilled by using their gifts to make something important, secure in their knowledge that God will be with them. 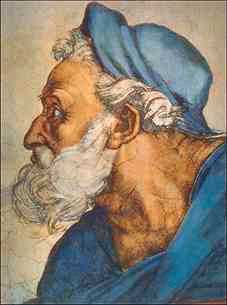 Yet in the book of Numbers, three days after they set out from Mount Sinai, the Israelites start complaining again—this time about the food.2 Even though both the ark and a divine cloud are leading them, even though the Levites are carrying all the pieces of the portable sanctuary, the people are discontented. Perhaps the problem is that they no longer have anything to do but march to the border of Canaan. The Israelite ex-slaves in the books of Exodus through Deuteronomy are like children, who enjoy doing things on their own but depend on an adult to straighten out anything that goes wrong. When they are hungry or afraid, they complain and wait for God to relieve their suffering. The book of Psalms includes pleas by suffering individuals as well as pleas for all the Israelites. Psalm 44 is the first of a series of psalms complaining that God is neglecting and hiding from the Israelites as a whole, letting them be defeated in battle and subjugated by enemies. Individuals feel abandoned and ask how long God will make them wait for rescue from diseases or personal enemies in Psalms 6, 10, 13, 22, and 35. Only Psalm 13 hints at a solution to God’s abandonment. How long, God, will you endlessly forget me? My heart in torment all day? How long will my enemy loom over me? Look! Answer me, God, my God! Light up my eyes, lest I sleep death! 1) God is hiding God’s face; i.e. the speaker is no longer aware of God’s presence, and so feels abandoned. Unlike the Israelites who wait 40 days for Moses to return, only to give up and demand an idol, the speaker in Psalm 13 finds a better response. Yet I will trust in your loyal-kindness. My heart will rejoice in your rescue. gamal (גָמַל) = ripened, weaned, rewarded, made mature. Even if God seems to have abandoned the speaker, the speaker decides not to abandon God. A more mature approach is to sing to God while waiting for God to act. In this week’s Torah portion, Vayakheil, God makes a request, and the Israelites create beautiful items for God’s sanctuary. As long as they are doing that work, they are content to wait for God to rejoin them. In Psalm 13, God neither makes a request nor acts to rescue the speaker. After waiting a long time, the speaker takes initiative and creates a song for God. They are still waiting for God to rescue them, but at least they are mature enough to sing, which leads to a hopeful frame of mind. I think there is a third possibility, not mentioned in the Hebrew Bible. If you are miserable and God does not tell you what to do, then act on your own initiative. Even when you cannot figure out a scheme for improving your situation, you can make something beautiful for God. Sing, write, paint. Smile and speak humbly to a fellow human being. Whenever you do something beautiful, God is inside you. 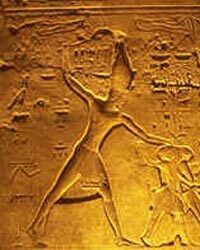 Pharaoh has a hard heart in the book of Exodus; the Israelites have hard necks. Pharaoh stubbornly refuses to let the Israelites go, ignoring both a series of miraculous disasters and the advice of his own counselors. Every time he is tempted to change his heart (i.e. mind), it hardens again. am-keshei-oref = a hard-necked people, a stiff-necked people. am (עַם) = a people: the humans of a particular ethnic group, community, or location. oref (עֺרֶף) = back of the neck, nape, neck. But Moses does not leave God alone. He persuades God to refrain from exterminating the Israelites. Then he goes down and sees the calf worship with his own eyes. Moses shatters the two stone tablets God gave him, and orders a massacre of the worst offenders. God sends a plague to kill the rest of the guilty. After God and Moses have both simmered down, God declares that the surviving Israelites should still go to Canaan. The people go into mourning. They want God right there travelling along with them; the idea of an impersonal angel does not satisfy their need for security. But the God-character predicts that accompanying these stiff-necked people would be so infuriating that God would erupt again in murderous rage. At this point God has rejected the Israelites and called them an am-keshei-oref three times. Yet the God-character’s metaphorical neck does not remain hard. God backs off from the original threat to exterminate all the Israelites and tells Moses only the guilty will die. Then God softens a little more and promises to drive the natives out of Canaan and to send an angel to lead the Israelites—but not to go in their midst. After a while Moses asks God for a personal favor. These may be aspirational traits that the God-character has decided to adopt—especially “slow to anger”. After hearing God’s glowing self-portrait, Moses bows to the ground. Thus the God-character turns out to be flexible, able to reconsider and turn the divine “face” back toward the people he had rejected. Nevertheless, these same Israelites wander in the wilderness for 40 years as they wait for their God to let them into Canaan. Occasionally they stray, but most of those four decades they are remarkably patient. Although it is hard for them to abandon their need for a physical representation of God, it is also hard for them to abandon their God altogether. They are stubborn that way. My own neck is literally stiff, due to an old injury, and I have to work daily to loosen the hard muscles. I also have to work to loosen my stubborn preconceptions. Sometimes (thank God) I realize that I’ve been unconsciously reacting to an old emotional injury. Then I know it’s time to turn my head and consider a different path. Stubbornness helps you to keep going when you are following the path that the divine presence within you knows is right. Turning your neck to look at other paths helps you to find the right way to “walk with God” when you get lost. May we all know when to be stiff-necked, and when to turn our heads. Turning one’s oref indicates fleeing from enemies in Exodus 23:27, Joshua 7:8 and 7:12, and Jeremiah 18:17. Jeremiah 2:27, Jeremiah 32:33, and 2 Chronicles 29:6. 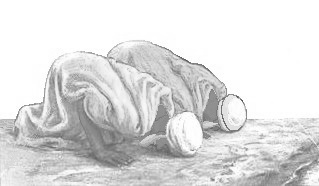 Rashi (11th-century Rabbi Shlomoh Yitzchaki) wrote “They turned the hardness of the backs of their necks toward those who reproved them, and they refused to listen.” (translation by chabad.org). Abraham Ibn Ezra (12th-century) wrote “The image is that of a man walking down the road who, if someone calls him, will not turn his head.” (translation by Michael Carasik, The Commentator’s Bible: Exodus, The Jewish Publication Society, 2005, p. 285). Exodus 34:6-7, the source of the “Thirteen Attributes” in Jewish liturgy. 14th-century Rabbi Levi ben Gershon, also known as Ralbag or Gersonides, repeating a teaching by his grandfather, Rabbi Levi ha-Kohein. Translated by Carasik, p. 304. 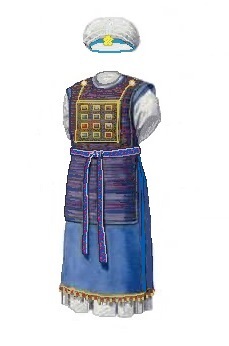 Another item that only the high priest wears is a tzitz tied to his forehead. But the high priest’s head is crowned with a flower made out of gold. The Torah assumes that this object, as well as the high priesthood, will continue indefinitely, passing from one man to the next. 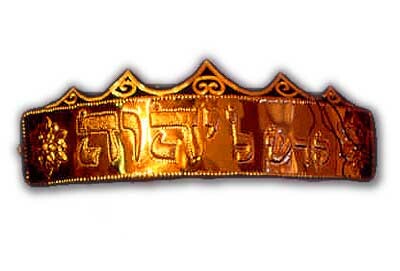 Just by wearing the tzitz on his forehead, the high priest compensates for any accidental ritual impurity in the people’s offerings to God at the altar. How? The words “Holy to God” are a double reminder. The Israelites seeing it would remember that the whole purpose of their ritual sacrifices is to make themselves holy—i.e., to dedicate themselves to God above all other purposes. This dedication must be their core identity; thus the words are engraved into the gold medallion the way an identity seal is carved. The high priest’s tzitz could be viewed narrowly as a magical object designed to ensure conformity to God’s rules about ritual purity. Or it could be viewed as an aesthetic object inspiring a feeling of spiritual elevation. But Munk points out that love and moral obligations are more important than conformity or spirituality. What good is a religious object if we are not kind and helpful to our fellow human beings? So the built-in symbolism of the tzitz matters after all. Gold is the most precious metal in the Torah, reserved for the most sacred items in the sanctuary. 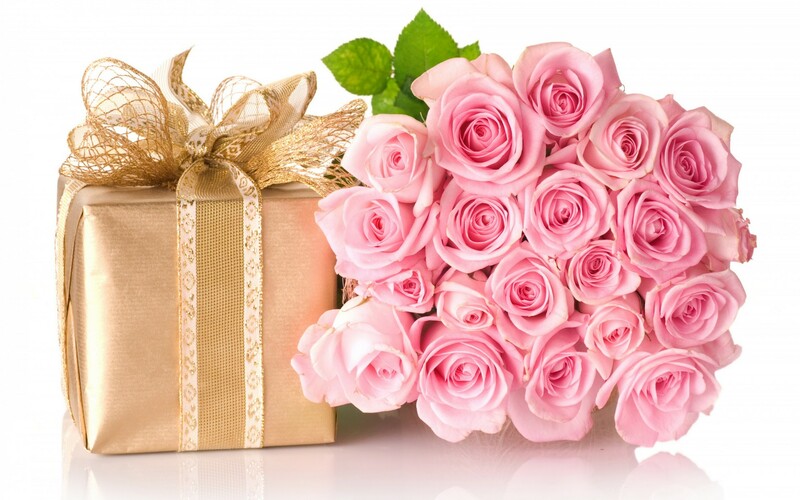 A flower is one of God’s most beautiful creations, and also one of the most evanescent. 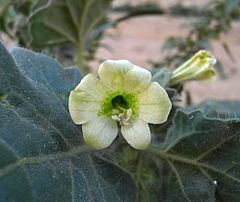 Yet after a flower wilts, its fruit becomes the source of seeds for new life. The word for “God” engraved on the gold flower is the four-letter name of God, a possible permutation of the verb “to be” or “to become”. (See my post Beshellach & Shemot: Knowing the Name.) And the words “Holy to God” are to be carved in relief on the tzitz, like the symbol of identity carved on a chotam, a seal. Thus the identity of God is confirmed and secured. The flower and God’s name both remind us that our universe is always becoming. Flowers wilt, but the spirit of God goes on creating as seeds fall and new plants bloom. 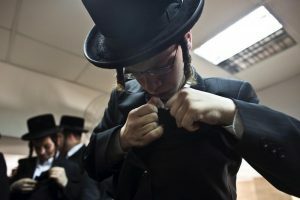 May we all walk through life as if we wear an invisible tzitz, dedicating ourselves to life despite death, to change rather than stagnation, to growth instead of destruction. And may we all be kind to each another on the path of becoming. Out of nine occurrences of the verb tzutz in the Hebrew Bible, all but one clearly refer to budding or blooming. The questionable reference is in Song of Songs 2:9, in which the woman describes her male beloved as “This one, standing behind our wall, gazing through the windows, meitzitz through the lattices.” Meitzitz ((מֵצִײץ is usually translated as “peering” rather than “blooming”. But this is the poem that says the beloved woman’s teeth are “like a flock of sheep climbing up from the washing pool” and her forehead is “like a slice of pomegranate”. (Songs 4:2-3) Maybe her lover is “blooming” through the lattices, like an eager flowering vine. Exodus 28:36 and 39:30, Leviticus 8:9. 1 Kings 6:18, 6:29, 6:32, 6:35. Isaiah 40:6, 40:7, 40:8; Psalm 103:15; Job 14:2. Isaiah 28:1, 28:4. Tzitz also appears in Jeremiah 48:9. Flavius Josephus, The Works of Flavius Josephus, translated by William Whiston, Baltimore, 1835, book III, chapter VII, p. 71. Talmud Bavli, Shabbat 63b, in the William Davidson Talmud, Koren Noe Edition, sefaria.org/Shabbat.63a?lang=bi. Rabbi Eli Munk (20th-century), The Call of the Torah: Shemos, translated by E.S. Mazer, Mesorah Publictions, Ltd., Brooklyn, 2001, p. 405.